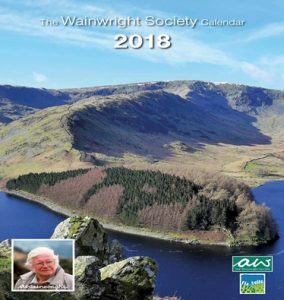 The Wainwright Society has announced that the 2018 Calendar has just been published and is now on sale. Once again, the format includes photographs of the Lake District taken by Society members, together with line drawings and quotations from the works of Alfred Wainwright. For the past eight years, the Calendar has completely sold out raising thousands of pounds for their designated charities. We are very grateful because this year all profits from the sale of the calendar will be donated to Fix the Fells for the repair of Long Stile, the final ascent on to the summit of High Street in the Far Eastern Fells, between Ullswater and Haweswater. Alfred Wainwright considered this ascent from Mardale to be the finest way to the summit.